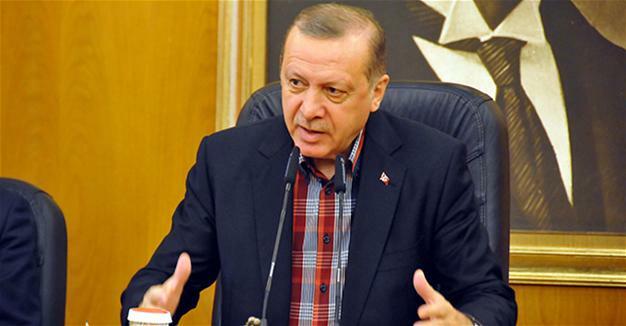 Turkey’s President Recep Tayyip Erdoğan has again declared that his forces, alongside Syrian rebels, will continue operations in northern Syria until they capture the city of Raqqa, the central Islamic State position in the country. The Turkish-rebel offensive had struggled to break Islamic State resistance since early December; however, in the past two weeks, it has advanced on three sides to move into the outskirts of al-Bab. The force is racing a pro-Assad assault, coming from the south, to capture the town. Al-Bab is now besieged from all fronts. Our forces have entered the city center at the moment. They have captured the most important point, the hospital hill. From now on the Deash forces are in the process of entirely leaving al-Bab. I think the rest is a matter of time. Just like Jarablus, al-Rai, Dabiq were cleaned [of ISIL] and the locals returned, al-Bab will be cleared and the people of al-Bab will resettle there. However, Erdoğan appeared to step back from Turkey’s declaration that it will not hand over al-Bab to the Assad regime before a transitional political process is completed, saying Turkish troops will not remain in Syria once ISIS is defeated and they will leave the lands to their “true owners”. Rebels are claiming an advance in their attacks inside Daraa city, in their first offensive in southern Syria in months. Free Syrian Army factions and other opposition factions say they took territory in the al-Manshiyah neighborhood in the Old City area, after detonating three vehicle-borne bombs. The rebels claim the advance, inflicting dozens of casualties on pro-Assad forces, despite regime airstrikes. A pro-Assad site maintained on Sunday that “more than 20 jihadist rebels were reportedly killed” in al-Meshiyah. In a concession to Russia, the opposition-rebel bloc has included Moscow-preferred “alternative” figures on its delegation for political talks in Geneva on February 20. The High Negotiation Committee said, after two days of meetings in the Saudi capital Riyadh, that the 21-member negotiating team will include politicians involved in discussions in Moscow and Cairo fostered by the Russians. In another notable change, senior HNC member Mohammad Sabra was named as the lead negotiator and Nasr al-Hariri, a long-time opposition figure from southern Syria. as the head of the delegation. Mohammad Alloush, a senior official of the Jaish al-Islam rebels, headed the negotiating team at last month’s talks, which renewed indirect contact with the Assad regime, in the Kazakhstan capital Astana. However, Jaish al-Islam has said that it will not participate in any talks until the opposition-rebel demands from Astana are fulfilled. The bloc is seeking a meaningful ceasefire, release of detainees, and an end to sieges before transitional political arrangements are considered. Osama Abu Zaid, a Free Syrian Army spokesman, said the “revolutionary forces delegation will decide participation in the meeting after it receives an official invitation and after reviewing the agenda”. The Astana discussions made little progress, with the head of the regime delegation, UN Ambassador Bashar al-Ja’afari, calling the opposition-rebel bloc “terrorists” and President Assad ruling out any transitional government and his eventual departure from power. The UN envoy Staffan de Mistura hinted after Astana that some of the alternative group could be brought to Geneva, at one point declaring that the UN would choose the opposition delegates if they could not agree “to make sure that [the group] can be as inclusive as possible”. Russian Foreign Minister Sergei Lavrov met the “alternative” group, although Moscow did not publicly insist that they represent the opposition and rebels at Geneva. PreviousBBC Radio: A Trump State Visit to Birmingham, England?